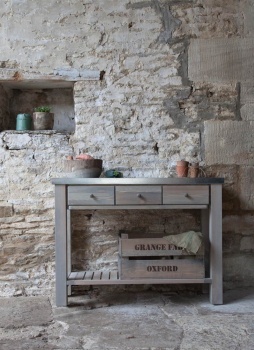 Make the homely task of sowing seeds more pleasurable with our specially designed Aldsworth Potting Table. Crafted in untreated Spruce, taken from fully sustainable and responsible sources within the EU, with a carefully designed hardwearing zinc worktop, our Aldsworth Potting Table has all the necessary requirements to make it the perfect gardening companion. With 3 spacious drawers, and a versatile shelving unit, find all the room you could ever need, storing pots, seeds, string, and plenty of other gardening essentials.